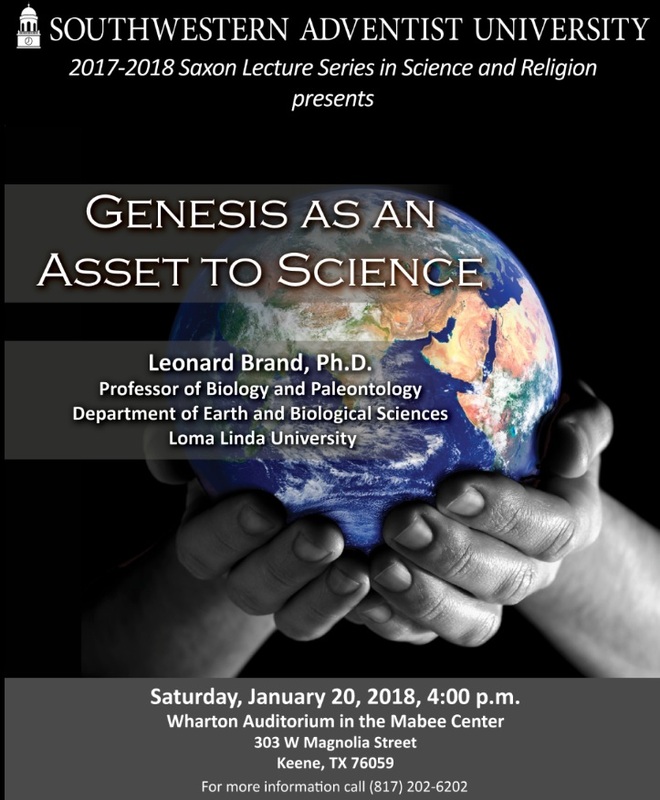 Saxon Lecture Series in Science and Religion presents Dr. Leonard Brand, Professor of Biology and Paleontology from the Department of Earth and Biological Sciences at Loma Linda University. 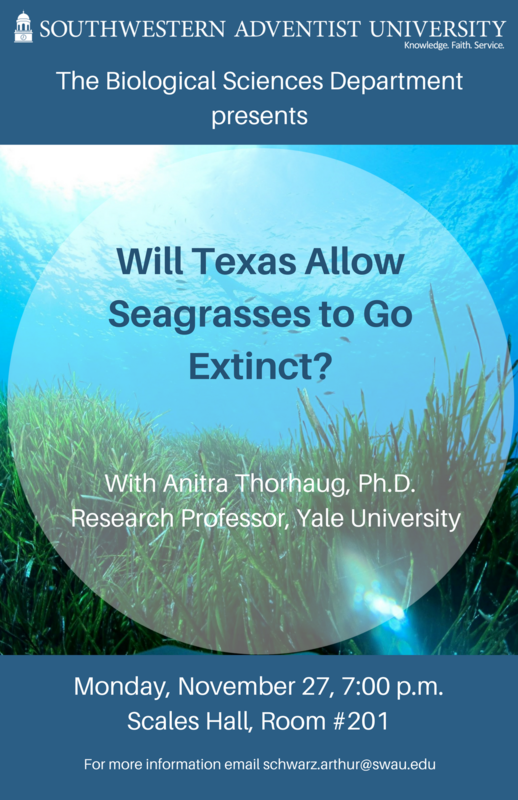 Join us as we learn about the possibility of seagrasses going extinct in Texas. Chair of our Biological Sciences Department, Dr. Arthur Schwarz, has being research with Dr. Anitra Thorhaug of Yale University for several years. Don't miss this fascinating discussion!